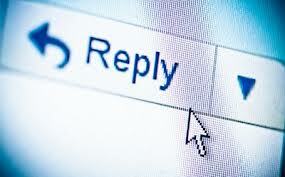 Facebook: “Reply” button on Comments coming soon! Just few days back Facebook was testing its New Sound-alert function for Notifications and few lucky people were able to test it on their account. And now they are also experimenting with a new reply option for comments, better known as threaded comments system. This “Reply to Comments” option is already present in Facebook’s Comments Plugin for websites and after this Awesome comments plugin, Facebook must have thought of adding this function to comments posted to individual posts on your Timeline. Right now the new “reply to comments” feature is only available for a small amount of users and soon after testing, it will be made available live for rest of its 1 billion monthly active users. The move would surely make it much easier for users to respond to individual comments left on wall posts. like us for more updates & share us and don't be a silent user please comment about the post and fill free to ask any thing your's comment let us to post more useful post for you all,,,!